At Excel Windows, we take pride in the fact that we’ve been the preferred choice for quality home improvement with exceptional customer service throughout Chicago and the suburbs for nearly 40 years. Family owned and operated since 1977, our dedication to serving our valued customers landed our company an A+ rating with the Better Business Bureau and multiple service awards. We don’t stop at the point of sale, or even the point of installation. We want to make sure that you’re happy with your replacement windows, entry/storm doors, siding and luxury bath/bath remodel for years to come. Give us a call today. We would love to hear from you! 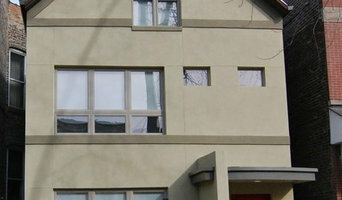 Argo glass & windows specialize in all types of residential and commercial repairs. Our main profile is the restoration of wood windows and glass replacement. If you have rotten sash, sill or frame on a window or door, it is not necessary to replace the entire window or door. You can always call us and we will repair it and save your money. Also, we repair patio sliding doors and windows mechanism, balancers, tracks, and hardware. Provide weather-stripping and caulking services. We repair all America's top window and door brands. Our polite staff will always consult you professionally and perform its work on time. Window PAC Corp, DBA Super Window Repair, specializes in window and patio door repair of all kinds, including residential, commercial, and historical/ antique. Our service covers all window materials and designs; from classical wood to modern vinyl, fiberglass, and aluminum. We also perform broken glass replacement, seal failure, and replacement of damaged hardware and accesories. We hear all too often that life is too busy and your home is too valuable to keep up with on your own. That is where we come in. Handyman Matters can handle simple home projects and repairs, as well as larger, more complex improvement projects. We do it all! Our Professional Craftsmen are skilled and experienced, assuring you of a job well done. Our commitment to you, the customer, is at the core of who we are. We know how important your home is to you and we want to be your home ally. Our Pledge to you is simple. We will treat your home “like it’s our home.” In our Residential Division, our multi-skilled professionals specialize in everything from basic repair, carpentry, plumbing, electrical, painting and installation tasks — to moderate-sized projects like door, window, flooring, tiling and room updates — to complete home remodeling projects for your bathrooms, kitchens, family rooms, dens, basements, decks and garages. In addition, we can handle all of your specialized handicap and aging-in-place needs for ramps, grab-bars, railings, door handles and the like. And, we can also set up a year-round home maintenance program for your home to help you stay ahead of minor repairs before they become more expensive problems. We're licensed, bonded and insured with General Contractor and Electrical Contractor licenses, and our professionals have passed background and skill checks. Our craftsmen are full-time employees, and because of the size of our company, we can usually get your project started within a day or two of your approval, sometimes the same day! Whatever you need — for your home or business — large or small — we can get it done efficiently, professionally and at a price you can afford! 1. Major Room Remodeling – kitchens, baths, family rooms, basements, dens 2. Handyman 3. Carpentry 4. Electrical 5. Plumbing 6. Doors & Windows – installation and repairs 7. Lighting and Lighting Systems – installation and trouble-shooting 8. 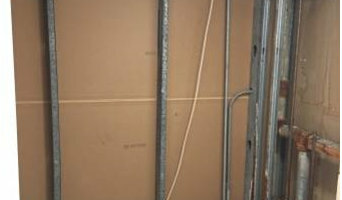 Drywall/Walls – repair and installation 9. Painting/Staining – interior and exterior 10. Flooring, Tiling and Countertops 11. Exterior Projects – decks, siding 12. 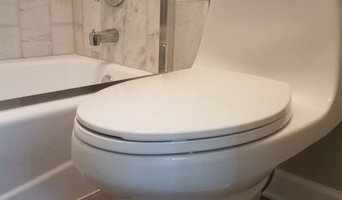 Aging in Place – hand rails, grab bars, ADA accessible tubs, wider doorways. Criss & Peter, long time friends and partners, are the North Shore's #1 One-Stop-Shop for all of your needs. We can do it all! From office to home construction, air duct cleaning services, pressure washing a sidewalk to an entire home, dryer vent cleaning, window cleaning, handyman services, carpet & area rug cleaning- WE DO IT ALL! No job is too big or too small! Skilled and experienced with more than 15 years of General & Specialty Contracting needs as well as small renovations. We are here for you! 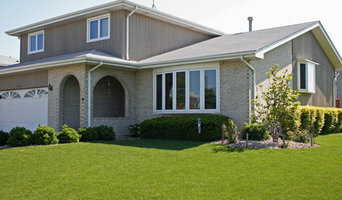 Rhino Glass is a locally owned and operated Glass and Window company serving the Southwest suburbs of Chicago, IL. We are committed to providing quality products and services at reasonable prices. Trust us for prompt, courteous service and expert installation. We can help with all of your Glass and Window needs. Call Rhino Glass today! PRO WINDOW WORKS is a locally owned and operated window contractor specializing in window/door repair and related services. Also we provide door/window installation and skylight replacement. Our team look forward to building lasting relationships with our clients and guarantee your satisfaction! Serving Chicago and Suburbs. We are BBB Accredited Business! We are a licensed and insured property maintenance company comprised of skilled tradesmen and handy men of various complementary talents. We have been servicing the Chicagoland area since 2014, and have formed lasting relationships with many local property owners. We guarantee to keep your property in tip-top shape with regular grounds keeping, property inspections and on-call repair services available at competitive rates. If you have any home repair, improvement, or renovation needs, just call or email to set up an appointment for a free quote.